Klonopin, the brand name for clonazepam, is a benzodiazepine medication most commonly used to treat panic disorder and various seizure disorders 1. Klonopin is one of the more potent benzodiazepines, requiring a fraction of the dose (in milligrams) relative to other drugs in the class. It acts on the GABA receptors in the brain and is effective in the short term for relieving symptoms of anxiety 2. As an anxiolytic, Klonopin is not intended for long-term use. Research suggests that the efficacy of Klonopin significantly reduces after 4-6 months of use. Furthermore, if a patient is on high doses of Klonopin, marked tolerance and physiological dependence can occur within only 2 months of use 2. Due to the high risk potential for abuse and dependence, Klonopin is considered a Schedule IV controlled substance 1. Withdrawal from Klonopin can be dangerous and may induce life-threatening symptoms such as seizures. For this reason, detoxing under medical supervision is extremely important, as you’ll have quick access to treatment should serious complications present. Klonopin-dependent individuals will face an array of withdrawal symptoms if they stop or taper their use too abruptly. The length and severity of withdrawal symptoms experienced will vary from person to person but will be dependent upon factors such as the typical dose taken, the length of time Klonopin was used, and the rate at which Klonopin was stopped or tapered 1, 2. Increased sensitivity to sounds, light, and physical sensations. Grand mal seizures may occur in as many as 20%-30% of people undergoing withdrawal without professional treatment according to the American Psychiatric Association 3. Another major health concern during Klonopin withdrawal is the emergence of delirium. These episodes can bring about different hallucinations that may confuse and disorient the individual, resulting in poor decision-making and erratic behavior. Your age, individual metabolism, height and weight, genetics, liver functioning as well as the presence of other substance abuse or mental health issues may all be factors in how long it takes to successfully detox from Klonopin. Each individual is different, so it is important to be evaluated by a physician who can take all individual factors into consideration when determining the best timeline for you or your loved one to detox from Klonopin. Detoxing under medical supervision is extremely important, as you’ll have quick access to treatment should serious complications present. Once you enter treatment, you can expect to have your withdrawal symptoms monitored closely during the first few days up to a week. Reputable Klonopin detox facilities will have physicians on staff that can prescribe medications to both ease the discomfort of withdrawal and also prevent any medical complications such as seizures. Because abrupt discontinuation of Klonopin can result in severe withdrawal, you may be tapered off the drug slowly to stabilize the body and ease the transition to complete abstinence. 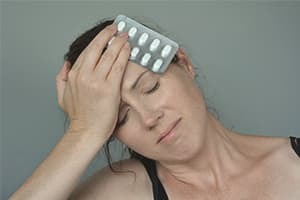 Treatment may also include the administration of a longer-acting benzodiazepine like Librium or Valium to keep symptoms at bay during the acute withdrawal period. This substituted drug will then be tapered so that your body can gradually adjust to the lack of any benzodiazepine substance and you can attend to further treatment from a sober starting point. In addition to medical monitoring and symptom management, staff members will likely work with you to create a plan for treatment after detox. Many longer-term rehab programs incorporate a period of formal detoxification services at the start of treatment. Other stand-alone detox centers will arrange for a transfer directly into ongoing substance abuse treatment program once detox is complete. In residential facilities, you will typically have access to individual, group, and family therapy, as well as amenities and activities provided by the facility, which may include alternative treatment modalities such as yoga and art therapy. Treatment philosophies and amenities will vary by facility, so doing some research to find a facility that meets your needs is important.Prior to discharge, you can expect to receive assistance in setting up ongoing therapy or medication management once you leave the facility. Do I Need Klonopin Detox? You consume more Klonopin than you intend to. You have unsuccessfully tried to quit using Klonopin in the past. You spend a lot of time consuming Klonopin or spend a lot of free time trying to get Klonopin to use. You crave using Klonopin when you are not using it or do not have it available. You notice that using Klonopin makes health problems worse but continue using. You are giving up activities that you once enjoyed in order to use Klonopin. You notice that you are using more Klonopin to get the same effect or you notice that Klonopin does not have the same effect that it once had. You experience symptoms of withdrawal if you attempt to stop using Klonopin. Oftentimes, Klonopin is not the main substance of abuse and is secondary to another drug of preference 2,4. Marijuana, alcohol, and opiates are reportedly the most abused substances used in combination with Klonopin 4. There are very strong warnings against using Klonopin with any other central nervous system depressant such as alcohol or opiates, as they could lead to fatal side effects 1. If you are abusing other drugs in combination with Klonopin, it is vital to seek professional guidance as soon as possible. Structured medical detox programs provide you with the opportunity to safely reduce your reliance on Klonopin. Treatment will vary according to the individual and the reasons for use, which means that detoxing with the help of a professional is essential. Seeking the help of a professional who can evaluate you as an individual will decrease the likelihood that you will experience severe side effects and life-threatening complications. Detoxing under medical supervision not only reduces the likelihood of experiencing severe side effects from withdrawal, it also ensures that other issues that come up during detox can be addressed with the appropriate medications. Common symptoms of withdrawal including irritability, insomnia, increased anxiety, depression, increases in heart rate and blood pressure will be managed if necessary. When physical and psychological symptoms go unmanaged, they can easily trigger someone to relapse back to the use of Klonopin. Professional detox treatment enhances your comfort and chances of successful recovery from Klonopin addiction. If you or your loved one believes you would benefit from treatment for Klonopin dependence or addiction there are several options available. A closely supervised outpatient course of detox might be fitting for some less severe benzodiazepine dependencies, but it will be up to your prescribing physician or other medical professional to make that determination. It is never a good idea to attempt a sedative detox at home alone. Contacting your insurance company for a list of providers who specialize in substance abuse is a good place to start if this is the route that you choose. Remember, even a closely monitored outpatient detox period should be the start — not end — of a longer course of addiction treatment. In many instances of sedative withdrawal, the safest approach to detox is with close supervision, such as afforded by an inpatient or residential detox center staffed with qualified medical professionals. Detox facilities will help you through the acute withdrawal symptoms that will occur the first week to 2 weeks after deciding to quit Klonopin. Interventions may include medication therapy and (group therapy, individual therapy, and recreational therapy. Every detox center is different so it is important to speak to someone who can refer you to the right facility for you. Remaining abstinent from Klonopin can be difficult without support. A lot of times there are triggers in your immediate environment that could cause you to relapse if you do not have the proper support. Partial hospitalization programs (PHPs) and intensive outpatient programs (IOPs) can help you to smoothly navigate this transitional phase, which is critical to long-term sobriety. You can expect group therapy to be the primary focus of any PHP or IOP, but some offer weekly family sessions and individual sessions as needed. A PHP will include substance abuse therapy for a substantial portion of the day, during which access to hospital services will be provided, and any needed medications will be prescribed and monitored. An IOP will often include group therapy for several hours a day throughout the week, and medications will be managed by your outside provider. There are substance abuse-specific and mental health-specific programs and again each facility is different so it is important to speak to someone who can refer you to the right facility for your sustained recovery. Not everyone’s health insurance will cover a longer-term inpatient program for Klonopin detox (e.g., 28-90 days); however, depending on your situation and your insurance coverage, your use may qualify for treatment in a residential treatment facility. Oftentimes these facilities provide detox management for the first couple days to a week with a transition to ongoing addiction treatment. These facilities typically offer individual therapy, family therapy, group therapy, classes on nutrition and a healthy and balanced diet while in treatment, assistance on lifestyle changes, exercise and relaxation classes. Some facilities also include step-down levels of care to include PHP and IOP. These facilities can greatly vary in price and location so it is important to speak to someone who can help you make the decision that is within your budget that also suits your treatment needs. Seeking coverage for inpatient and outpatient drug and alcohol treatment can be a confusing and time-consuming process. Insurance companies base their certification of inpatient and outpatient levels of treatment for drug and alcohol treatment on medical necessity. Genentech. (2013). Klonopin Medication Guide. SAMHSA. (2011). Benzodiazepine abuse treatment admissions have tripled from 1998 to 2008.